I’m really happy about this show because I have another great guest speaker. Chris Connor has come one to take a look at a production application and then go into designer and talk about how some of the pieces work. This is an Extended Edition so it’s a little longer and more detailed then the normal shows. Chris opens up designer to show how some of the features on his website was built. 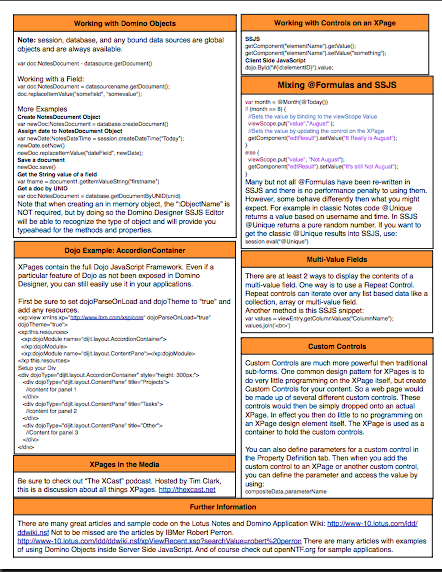 Lots of good nuggets of information in there. I’ve seen a couple of these kinds or posts so I figured I’d give it at go. That’s about it really I think. 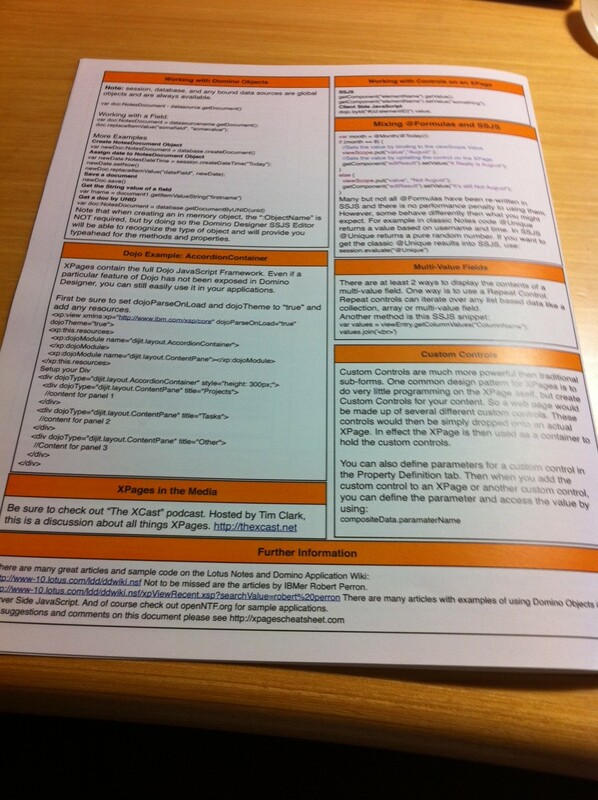 I’ll be at SpeedGeeking tuesday night and blogger open on Thursday. I present a XPages: Enter the Dojo on Tuesday afternoon and I’ll probably stop by the VideoFest lounge more then once, and thanks to my wife, I’ll even have my own shirts. 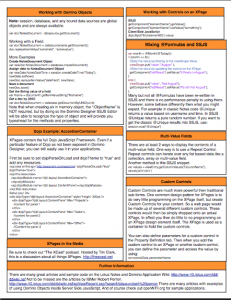 Here is the XPages Cheat Sheet that I’ve promised to the community. I’m releasing this a little earlier then Jan 29th, which I had originally planned, just in case someone spots an error then I MIGHT be able to fix it before it goes to the Lotusphere printers. 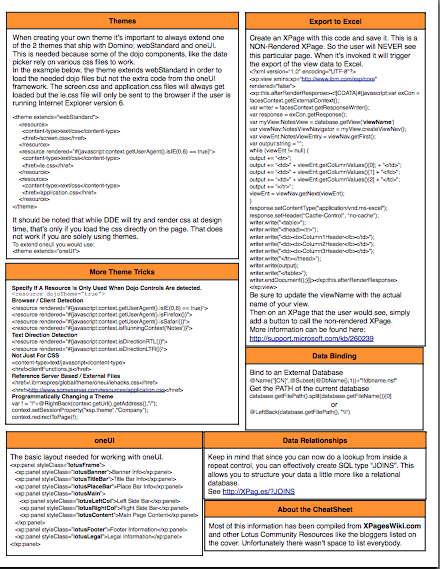 The cheatsheet references the domain xpagescheatsheet.com, which is not currently live. I originally thought about hosting the files there and using that to assist in translating it to additional languages, but now I’m not sure. 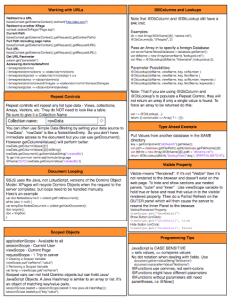 I’m investigating the possibility of hosting this on openNTF.org, so I’ll let everyone know what happens. Again, I need to thank the community for this. By compiling information from MANY different sites, and discussing and getting advice from several of my friends this was truly a group effort. Ok – Here they are. I have 2 versions, one for printing on 8.5 x 11 and another for printing on 11×17 as I originally intended. 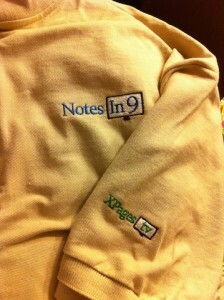 Please share this with anyone who’s interested in XPages, and check back here at NotesIn9.com for any update notices. 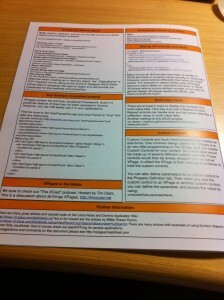 Just wanted to give everybody an update on the XPages Cheatsheet that I blogged about a bit ago. 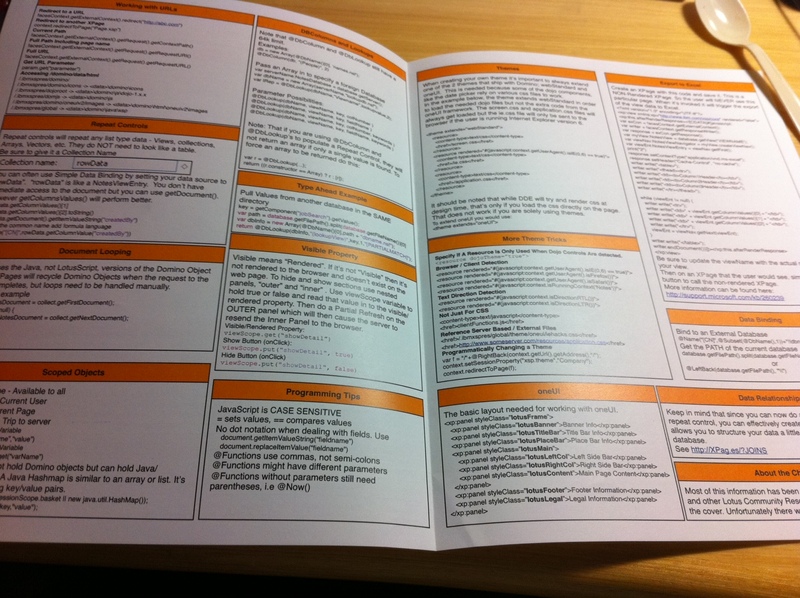 Last night I sent an almost final version to IBM for some test printing. Joyce Davis was kind enough to take some pictures for me so I wanted to share. 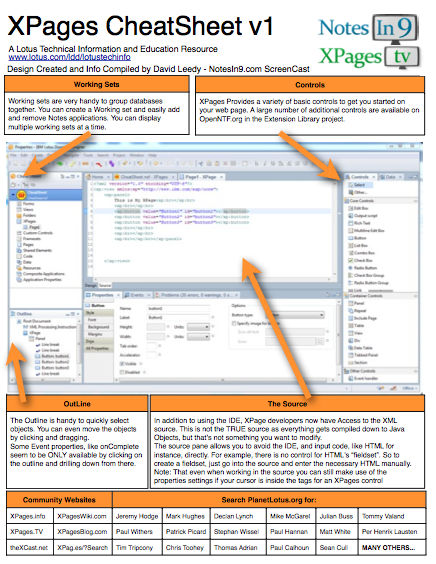 I have a couple of more tweaks to make and then this initial version will be finished and ready for Lotusphere. She’ll be printing a BUNCH I’m told, but we have no idea what the interest will be so hopefully there will be enough. 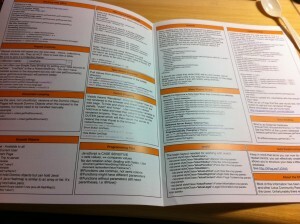 After Lotusphere I’ll start to think about the language translations that people are starting to volunteer for. Anyway – here’s a sneak peak of that version. I still have some more adjustments to make. If’ you’re going to Lotusphere one event that shouldn’t be missed is SpeedGeeking on Tuesday night. What’s SpeedGeeking? It’s this big room with 12 tables. Each table has 1 presenter. A host takes the crowd and divides them up between the tables. Usually by birth month I THINK. Each presentation is 5 minutes. NO MORE! The presenters repeat themselves 12 times as everybody goes around to each table. DRINKING is involved typically. 🙂 It’s a lot of fun and shouldn’t be missed. There’s a host with a microphone so it’s loud and there’s a lot of energy in the room. 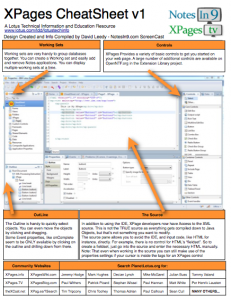 Let year I did a presentation on using BluePrint with XPages. I created a slightly slower version in Episode 11 of NotesIn9. 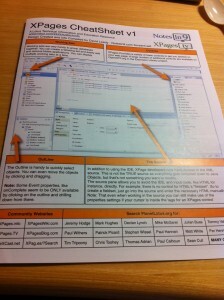 XPages can’t be explained. It must be seen to be appreciated. Free your mind of all the rules Client development imposed on you and embrace the power that is XPages. 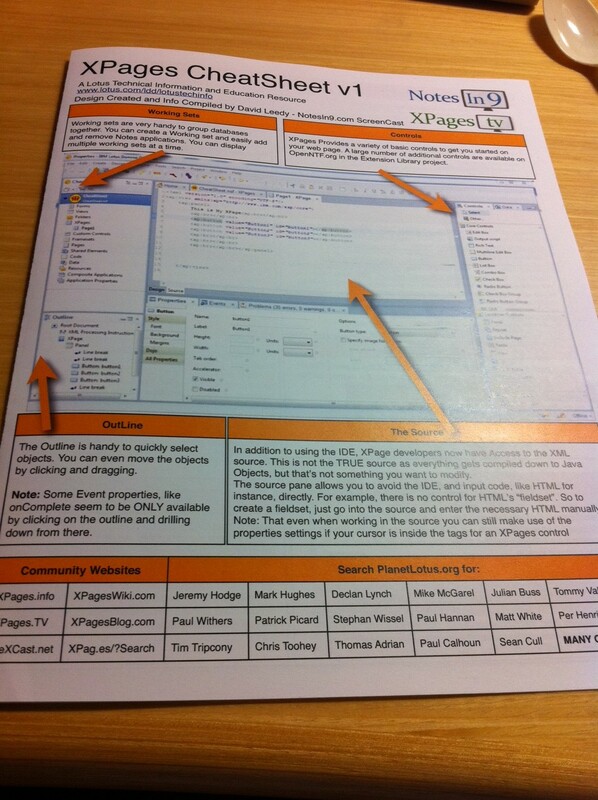 While Agents do exist in XPages we’ll spend our time looking at Data Binding, Rendering and Repeat Controls. 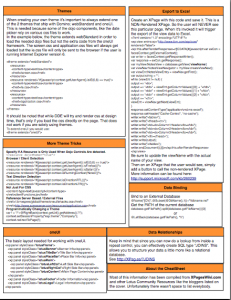 XPages Cheatsheet in other languages? 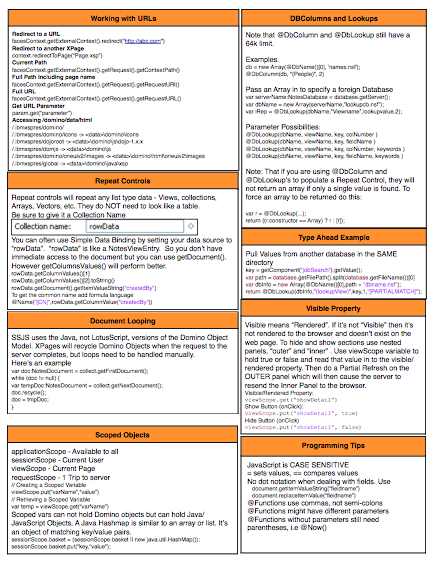 If there’s anyone out there that wants to help translate the cheatsheet into another language, like German, or Swedish, or whatever, please let me know and I’d be happy to make a version of it for any particular language. Though that won’t happen before Lotusphere. Just let me know if you’re interested and we’ll work out the details.